Home Is Ultra-Thin Acer Swift 3 worth your Money? One of the four Swift variants offered by Acer, the Ultra-Thin Acer Swift 3 is a good device for its cost. The Swift 1 is an entry-level unit in the Swift family and Swift 3 comes after it. 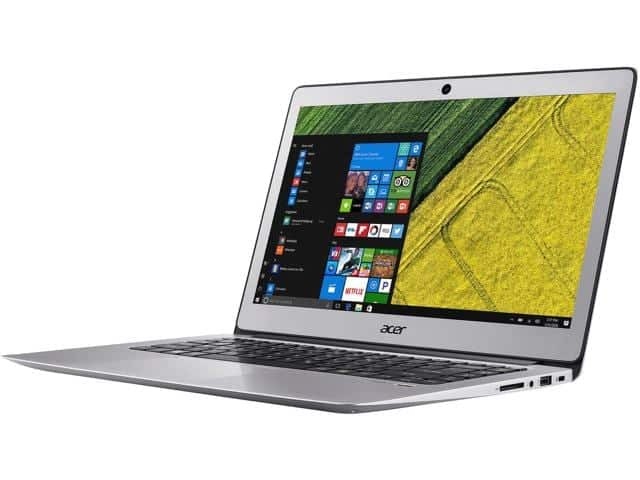 The Acer website shows various models under the Swift 3 variant and you can even find one that fits your requirement for $499.99. The highest-configuration model is sold at $849.99. The company offers 14-inch Full HD IPS display with a resolution of 1920*1080. It guarantees ideal viewing experience for a plethora of entertainment options such as movies, games and more. It weighs around 3.3 pounds which makes it lighter than its competitor Lenovo 510S. It has a slim and light metal body which makes the laptop “stylishly slender”. The swankiest feature of the Swift 3 has to be its all-aluminum body. It is difficult to obtain such a sleek style in the price range. It gives the laptop a premium feel and finish that other laptops in the same category are unable to provide. With the ridged lid and smooth fold mechanism, the laptop seems to be pleasure to use. The keyboard on the laptop leaves little to imagination. The overall layout is sleek and easy-to-use. The key-action is good and there are no major issues when you type quickly. One important feature of the keyboard is the backlit which is ideal for working in the dark. The track pad of the laptop is not certainly the best but the aluminum finish on the body makes tracking easy and comfortable. Not the best in the category but it with full HD resolution, it allows you to view quality picture. Also, the matte finish on the screen is useful for avoiding reflections. It has a great contrast ratio of 1360:1. However, the brightness of the screen feels like a disappointment. It is ideal for normal conditions but it is not very satisfying for brightly-lit environments. If you are intending to use the laptop in an out-door environment, remember that you only have an on or off option for the screen’s brightness. Acer claims that the battery lasts for 10 hours which is quite sufficient when you are on the go. However, critics suggest that the battery can be improved upon and made to last longer. Also, there is another issue related to the heating of the laptop. It doesn’t get hot easily but the continuous spinning of the fan can prove to be nuisance for its users. The 30 fps 720p webcam is ideal for general video-chat because it gives a grainy picture quality. When it comes to audio, the speakers are powerful and give satisfactory results. The laptop has USB 2.0, USB 3.0 and USB Type-C. Also, you will find HDMI, SD card reader and headphone/microphone combi-jack along with built-in Wi-Fi. Should you buy Ultra-Thin Acer Swift 3? If you consider the price, the laptop seems to be a fair choice. Its good performance with an all-metal body makes it a sure winner among its class. When you are looking for durability, it doesn’t prove to be better than its competitors with plastic bodies. It is good for day-to-day working but if you are interested in editing high-quality videos, the laptop doesn’t offer much. Even for gaming purposes, Acer Swift 3 proves to an inadequate choice. So, if you want to use the laptop for normal office work and viewing YouTube or Netflix, choose it. It is an impressive machine for its price that no other laptops in the same category can match. Want to upgrade the IT infrastructure of your business? 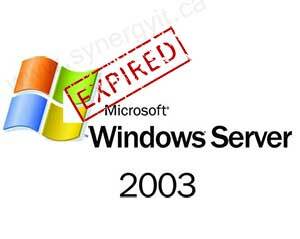 SynergyIT is a managed IT services provider that will take care of all your IT needs. Consult the reputed firm by calling on 905-502-5955.